Yale University Press, 9780300123395, 352pp. This book is the first to address the history and future of homegrown, mass Chinese Christianity. 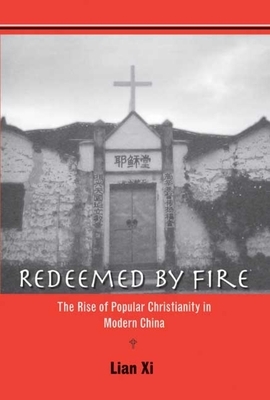 Drawing on a large collection of fresh sources—including contemporaneous accounts, diaries, memoirs, archival material, and interviews—Lian Xi traces the transformation of Protestant Christianity in twentieth-century China from a small, beleaguered “missionary” church buffeted by antiforeignism to an indigenous popular religion energized by nationalism and millenarianism. Lian shows that, with a current membership that rivals that of the Chinese Communist Party, and the ability to galvanize China’s millions into apocalyptic convulsion and messianic exuberance, the popular Christian movement channels the aspirations and the discontent of the masses and will play an important role in shaping the country’s future. Lian Xi is professor of history at Hanover College and author of The Conversion of Missionaries: Liberalism in American Protestant Missions in China, 1907–1932. He lives in Louisville, KY.